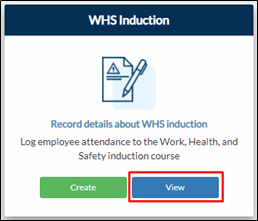 Induction Report lets you view the list of your WHS induction submissions. 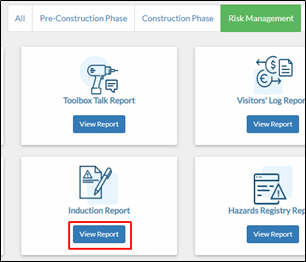 Project Page – Click Risk Management tab > View on WHS Induction tile. Projects Dashboard – Click the Reports button. Locate the Induction Report then click View Report. This can be found under Risk Management tab. 2. You will be redirected to Induction Report page where you can view all the submissions. 3. Click Delete to remove your submission to your report. 4. A confirmation prompt will appear. Click OK to confirm.